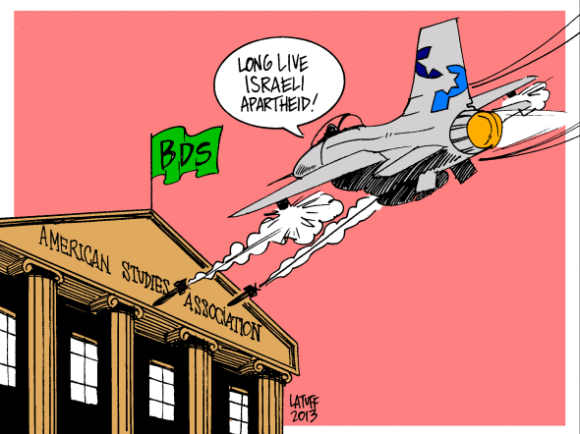 The landmark decision by the American Studies Association (ASA) to boycott Israeli academic institutions has lead to legal threats, reports of intimidation aimed at pro-boycott scholars and pushback from those in support of the ASA’s decision. The latest is that a group of prominent Arab-Americans have issued a statement in support of the ASA decision, while an Israeli legal center has said that a lawsuit is in the pipeline. Earlier this week, Palestinian and Arab-American scholars released a missive in support of the ASA boycott, which is part of the larger boycott, divestment and sanctions (BDS) movement targeting Israel. 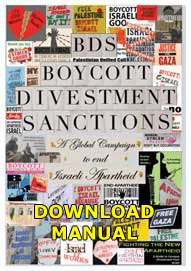 The statement condemned the “hate” that the ASA has been a target of and expressed appreciation at the ASA’s “recognition that BDS is a legitimate, non-violent tool of resistance by peoples enduring settler-colonialism, occupation, and apartheid.” Some scholars who signed the letter have already reported receiving hate mail because of it. -Encouraging your department to join the ASA. -Writing a letter of support to the ASA. A petition has also been set up for those who agree with the statement. 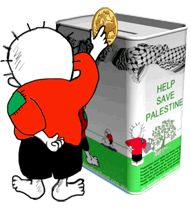 Meanwhile, Shurat HaDin, an Israeli legal group, has said that they will sue the ASA if they don’t cancel their boycott. Yesterday, the Jerusalem Post reported that Shurat HaDin, a group that has links to the Israeli government and the Mossad, sent a letter to the ASA claiming that the academic boycott violates anti-discrimination laws in the U.S. since it targets Israelis and Jews. This threat is the latest in a pattern of legal bullying that has escalated in the U.S. as the movement for Palestinian rights has grown. An academic boycott in fact violates no anti-discrimination laws because it does not target any individual or institution based on their Jewish identity or Israeli citizenship. Rather, it is aimed at institutions with direct relationships to the Israeli government. 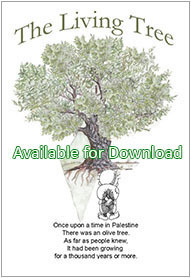 Shurat HaDin’s attempt to paint this principled action as anti-Semitic and discriminatory against Israelis is not only legally bankrupt, but also trivializes important struggles against anti-Semitism and all other forms of racism. We will not be intimidated by Shurat HaDin and its legal threats. Unlike in Israel, where criticism of the government’s policies towards the Palestinians is increasingly criminalized, our boycott decision is protected by the First Amendment of the Constitution. Thankfully, in the United States we still have the right to speak out against Israel’s racial discrimination against Palestinians. As an organization we have the absolute right to oppose the discriminatory practices of Israeli academic institutions and their complicity in Israeli human rights abuses. Everyone knows the First Amendment protects not just speech but conduct. Shurat HaDin’s claims are particularly odious as our interactions with individual Israeli academics are likely to be more frequent rather than less in the years ahead.